Quite a few times after recording a vocal or a sample from the outside world, especially when using a low quality microphone, you can end up with some kind of undesirable background noise. We are going to examine a way of reducing these type of noise by using a free Cross-Platform Sound Editor called Audacity. 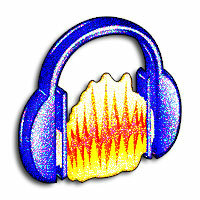 Audacity is free, open source software for recording and editing sounds. It is available for Mac OS X, Microsoft Windows, GNU/Linux, and other operating systems.